Posted on August 13, 2015 August 13, 2015 by John MeunierPosted in Doctrine, Jesus, Methodism, TheologyTagged atonement, Charles Wesley, Hymn, Hymnal. Is penal substitution (satisfaction) not a Wesleyan belief? Ken Collins, in (I think) his book on the Scripture Way of Salvation says that Wesley’s primary understanding of atonement was PSA. I agree with Collins, but I have heard and read people who argue PSA is bad theology and in conflict with Wesleyanism. I don’t agree with them, but I hear it. Wesleyan no question – there is more debate if it is Methodist but Bishop Jone’s book on Doctrine does a great job of explaining the political developments that enshrined the Standard Sermons as doctrine. Substitutionary Atonement is front and center in the first standard sermon! Penal Substitution is definitely descriptive, at least in part, of what God has done in Christ. Not only is it part of Wesley’s theology of the atonement, I believe it is the lynchpin of his theology and most certainly the key to understanding Aldersgate. If you doubt this, read his brief correspondence with William Law immediately preceding May 24, 1738. The only problem with penal substitution is with its most adamant supporters and its most vociferous critics. In both cases we have God in the hands of angry sinners on steroids. It’s Anselm vs. Abelard and its roots go back a long way. Liberal Protestants go apoplectic at the mention of the blood of Christ as an atonement for our sins. They can’t help it, because nothing God has done in time can possibly be objectively real in their worldview. Those who claim Penal Substitution is not Weslyan are just plain wrong. Actually I would go one further, Substitutionary Atonement is one of our established doctrinal teachings, in other words when a clergy person says they have read, understand, and agree with our doctrine, and that they intend to preach and maintain it, this includes Substitutionary Atonement explicitly. 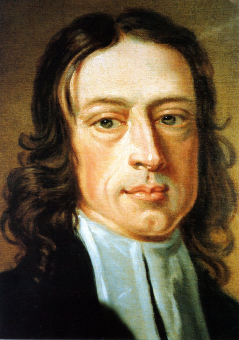 It is well documented that both through historical understanding, General Conference action, and Judicial council decision, that our doctrinal standards include: The Articles of Religion, The Confession of Faith, The General Rules of the Methodist Church (Which by the way prohibit working on Sunday – not sure even the most evangelical are preaching this), and John Wesley’s Sermons and Explanatory notes on the NT. For an academic discussion of this history Bishop Jone’s United Methodist Doctrine book is a good place to start. Now there is a reason this is the first standard sermon. It articulates the most basic points of unity we have with the broader Christian faith, and the ways in which we are distinct. In particular it makes unity and divergence statements from both the Catholic church and the Continental reformers. It is the sermon by which Wesley defines who we are as a distinct body, wile situating us within the broad range of Christian orthodoxy. So – For Wesley and by extension for United Methodists, what it means to be a Christian is defined at least in part, by an adherence to the Substitutionary Atonement. I’ll look forward to reading your book.